Easter – April 21 – is the perfect time to celebrate spring with friendly pastels, cheerful flowers and joyful company. Why not catch up with good food sitting at a gorgeously set table? Easter is quickly becoming the ultimate moment to celebrate all things spring. The days are getting longer, the sun is getting stronger, nature blossoms and outdoor everything sprouts, pops and buzzes. The Bank Holiday is a perfect moment to add some spring ambiance to your home, invite friends and linger at your beautifully decorated table with good food and good company. Perhaps even sit outside, in a sheltered spot! Nothing says ‘Easter’ like an Easter tree. While corkscrew hazel branches are a timeless classic metal and wooden frames are booming and also perfect to decorate with spring ornaments. 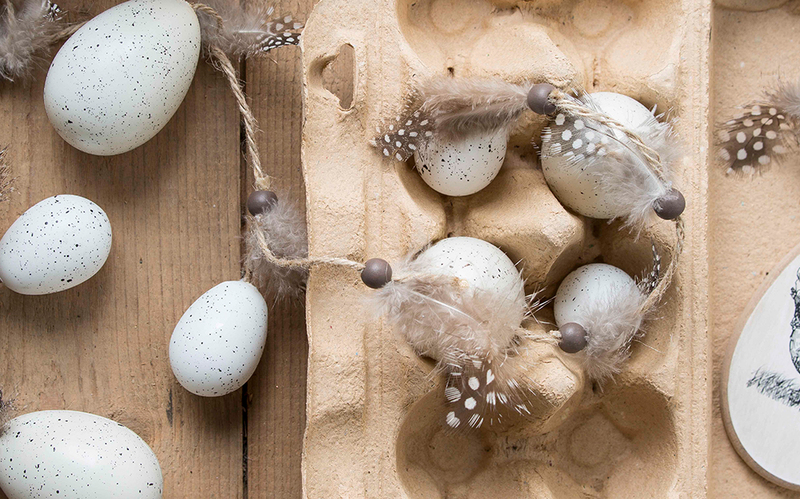 Because space is limited select Easter items – decorative eggs, bunnies, chickens – in about the same size to keep some balance and serenity in your display. But don’t hold back decorating your house plants, especially the bigger ones look great with Easter ornaments and garlands with decorative eggs. Spread spring all through your living room with blossoming branches and other botanicals. A high bottle with a single branch of magnolia or cherry blossom by Mica Decorations can lift the spirit and offers ample opportunity to create a fun tableau with handsome hares, cute bunnies and sweet chickens. Arrange figurines and other home décor on various levels and add some green houseplants to emphasize the wonderful sense of spring. A few Chinese lanterns in the shape of eggs are a great way to create Easter ambiance instantly. 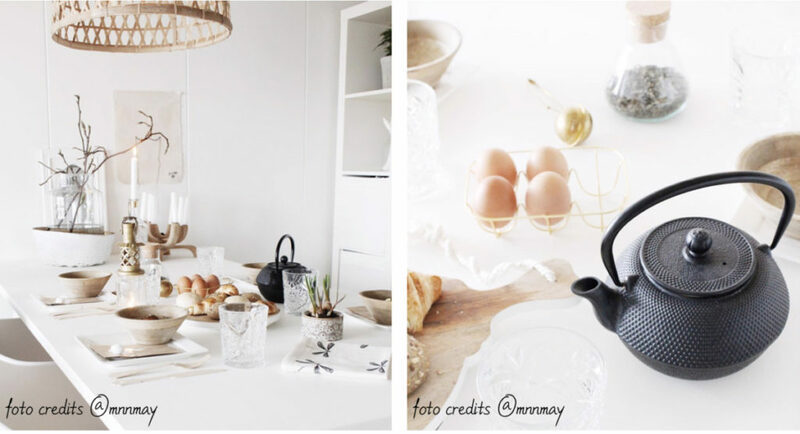 Whether its Easter breakfast or brunch, the table will look so good with beautiful placemats. Mix and match plates and bowls in various colours for a casual and vivid look. Serve fresh juice in gorgeous jars or carafes: so stylish! Add slices if cucumber and lemon to beautiful glass bottles of water. Healthy, great looking and totally now: water with fresh herbs like mint and dill. Present your painted eggs in a cute egg holder with two levels. Place a few small spring figurines near every plate to add to the ambiance. Children love tapping their own drinks: put fresh fruit in a mason jar with a tap. Beauty forever: true to nature field flowers by Mica Decorations to enjoy all year long. Trendwatchers tend to look at Easter 2019 as a moment of softness. A beautiful and friendly world that offers a buffer for the sometimes-grim world outside. 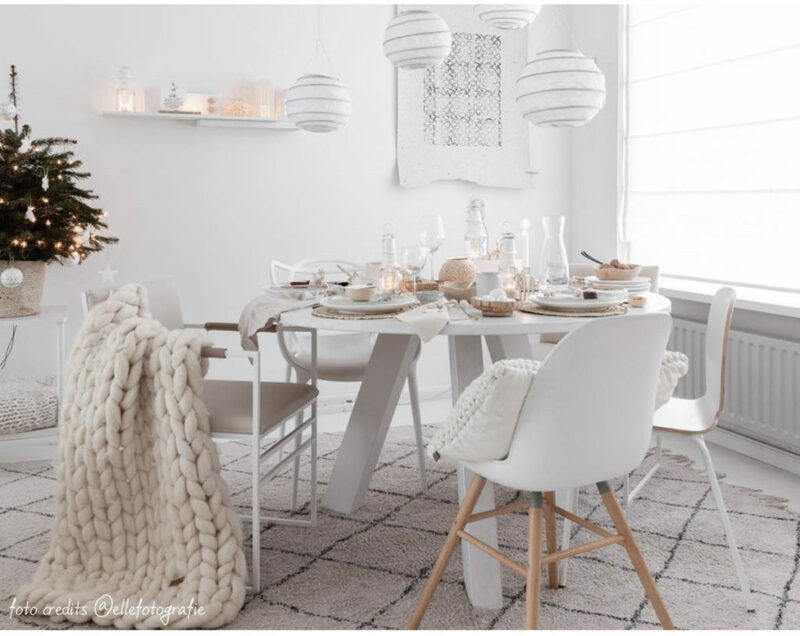 To give your home the feel of a large fluffy pillow, think round shapes, soft cushions and fuzzy throws. Add plants with soft leaves like Kalanchoe pumila and Kalanchoe Tomentosa or Platycerium or flowering plants with a dome-shape, like begonia and display them in pots with soft textures. Also a great match are flowers like peonies and Allium, those by Mica Decorations look just like the real thing. 🐣A sweet and savoury Easter brunch with small hot and cold dishes. 🐣Glasses with reusable drinking straws. 🐣Napkins with yellow patterns that also look great in summer. 🐣Teapots and jars look great as vases too.